Preschoolers collaborated with HS art students to make pots as gifts for their Mother's Day project. Students from Mrs Loveless’ and Miss Milian’s PK4 class worked with students from Mrs. Sharp’s Art 3D-1 to mold their special gifts. The high school students led the activity and helpted guide the design process. Once the pots are fired, the pairs will come back together to paint their creations. The CCC team and our WCS students have been busy on the first day of the Florida College Tour. The first stop was breakfast and a tour of Florida Atlantic University. Then they caught up with WCS alumni Tamara Kurt '18 and Derek Van Hook '16 for lunch and a tour of University of Central Florida. Then they enjoyed a sunset tour at University of North Florida followed by dinner & dessert on campus. The Elementary School celebrated Earth Week with a special visit from thousands of ladybugs, and Village Mayor Cunningham and Councilmember Fiore. Students learned about the importance of conservation and how ladybugs help the environment. This week, students on the Elementary campus are starting each morning with a special assembly to learn more about Easter during Spiritual Emphasis Week. Students gather by grade in Hub 1 and 2, are visited by Bible characters (teachers and students actors), and learn about the most special holiday of our Christian faith. We are blessed to learn in a community where Christian values are shared! All media and logo requests should be directed to the Director of Public Relations. Reporters who wish to take photographs and video footage of the WCS campus must receive permission from the Director of Public Relations. To gather images or video on campus grounds, or in any WCS building, a photographer or videographer must be accompanied by a member of the Public Relations staff. To arrange an interview with a student, faculty or staff member, please call 305-279-2705 or e-mail publicrelations@wcsmiami.org. Congratulations to alumni Christian Sanchez '09 and Nicole Perez '09 on their marriage. 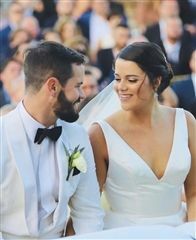 The wedding ceremony took place in the Dominican Republic on March 2, 2019. Many alumni were in attendance to watch the couple of eight years tie the knot. Christian and Nicole plan to live in Miami for the time being. A few ladies from the Class of 1977 recently held a get-together in Kendall: (l to r) Cindi Dizuria Kennedy, Pam Prevatt Woll, Dulce Fernandez Cadar, Cindy Apgar Smith and Debbie Jannack Cabrera. The bonds of the Warrior Family are strong! Melissa (Letellier) Guerrero ’11 and her husband are expecting their first child in 2019! 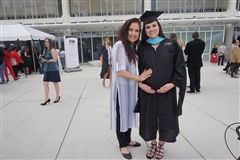 Melissa recently graduted from FIU with a Master Degree in Kinesiology. 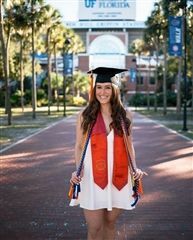 Congratulations to Gaby Meitin '14 on her graduation from the University of Florida. Gaby will recieve a degree in Civil Engineering. 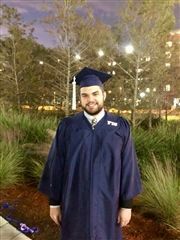 Congratulations to Victor Mora '12 for graduating from FIU with a degree in Interdisciplinary Studies, with a concentration in Math and English. Michael Riley '17 started his college career proving himself on the diamond as a baseball recruit at Seton Hall University in New Jersey. However, after experiencing recurring injuries, he pursued a new challenge and began to explore his interest in business and problem solving. 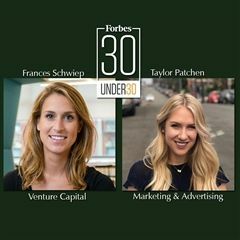 Congratulations to alumnae Frances Schwiep '07 and Taylor Patchen '10 for being selected for the Forbes 30 Under 30 2019 list. The list features 600 trailblazers across 20 industries. Class of 2001 alum Derek Wallbank is moving to Singapore to be a senior editor for breaking news in Asia for Bloomberg News. 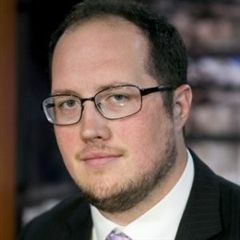 He currently runs the U.S. government breaking news desk for Bloomberg News and Bloomberg Government in Washington, covering the White House, Congress, campaigns, federal agencies and foreign policy. He has worked for the news organization since July 2011. Derek is a graduate of Michigan State University. Congratulations on this new chapter, Derek! 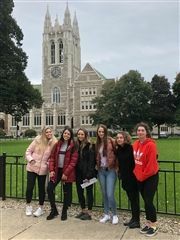 Thanks to WCS alumni Ilse Brenner ’15 (Boston College), Alex Castellanos ’14 (Northeastern University), and Brejah Upton ’18 (MIT) who led tours of WCS students at their respective universities during the WCS Boston College Tour. 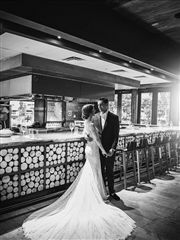 Congrats on alumnae Taylor Chao Butler '09 on her marriage to Saxon Butler on October 13, 2018. The ceremony took place in Birmingham, Alabama. Taylor graduated from Samford University. She now lives in Salt Lake City Utah and works for Goldman Sachs. 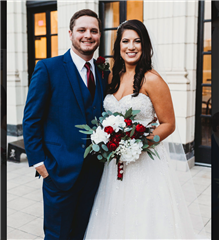 Congrats to alumnae Candace Morris Tabb '12 on her marriage to Payton Tabb in North Carolina on October 13, 2018. Laura Melvin '09, Candace's sister was the maid of honor in the ceremony. In high school, Candace was on the varstiy cheerleading squad and was the captain her senior year. 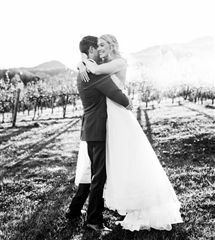 Medina '10 Says "I Do!" 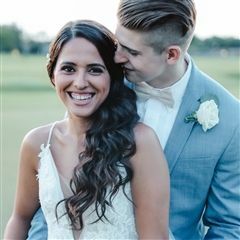 Congrats to alum Stefano Medina '10 on his marriage to Stephanie Padron in Coral Gables on October 20, 2018. Stefano attended WCS all four years of high school. He also played soccer for the Warriors. Interested in what's going on at WCS? 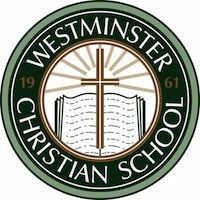 Follow the official accounts of Westminster Christian School and see what is going on! Congratulations to alum MJ Melendez '17 on earning the Kansas City Royals Minor League Player of the Year award. After graduating from WCS, MJ was drafted in the second round of the 2017 MLB Draft. He instantly made an impact and continues to be a force for the Royals minor league teams. 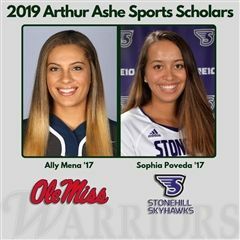 We are always interested in what our alumni are up to after life at WCS. News, big or small, we want to hear it all! 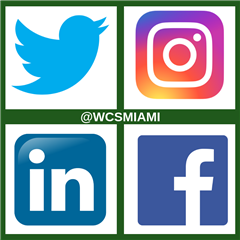 Email alumni@wcsmiami.org and fill us in! 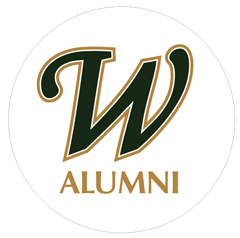 Via the WCS website, alumni have access to a private, online Alumni Drectory. The directory contains the latest address, phone number, and email we have on record for all alumni. Looking for a former classmate? Want to pursue a job with a fellow Warrior? Start with the directory. On August 31, 2018, alumna Nicole Boulris '16 had the privilege of performing the national anthem before a Miami Marlins game, in memory of fellow alum Kyle Dodds '10, and countless others affected by drug addiction and the opioid epidemic. 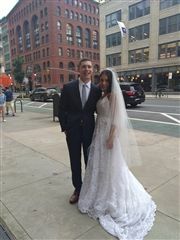 Congrats to alumna Michelle (Melendez) Kemrite '13 on her marriage to Ryan Kemrite on August 5, 2018. Michelle and Ryan met at Liberty University, where she played volleyball. Michelle was part of both the volleyball and girls basketball programs throughout high school. Upon graduation from Liberty, Michelle and Ryan packed their bags and made the move to Miami.